This volume is a definitive manual for students and practitioners involved in learning and developing essential theories and models for field work practicum in social work education. It addresses various functional issues in field practicum; delineates proper guidelines for students and supervisors; discusses criteria of supervision and evaluation; and the concerns facing South Asian field practitioners. • Formulating alternative practice theories which will allow social work practitioners to respond to the critical social problems unique to India and South Asia. 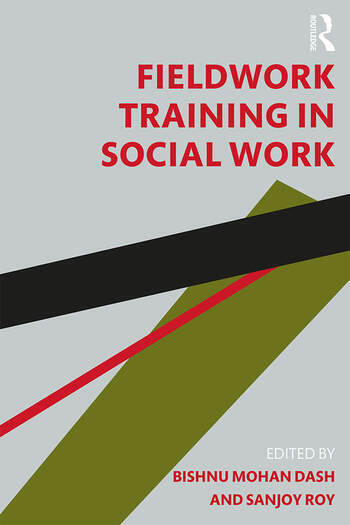 The book provides multiple frameworks for teaching and learning field work which integrates theory and practice, and the create an environment where students can develop intervention strategies using their knowledge, skills and techniques. The volume will be indispensable reading for undergraduate and post graduate students of social work. It will also be useful for scholars of sociology, anthropology, development studies, and practitioners engaged in various non-governmental and international organizations. Bishnu Mohan Dash is an academician and a researcher in Social Work engaged in spearheading the movement for Bharatiyakaran of social work education in India. He is an Assistant Professor in Social Work at Bhim Rao Ambedkar College, University of Delhi. Sanjoy Roy is an Associate Professor at the Department of Social Work, University of Delhi. He has published more than forty-five articles and research papers published in different journals and books, and 11 books related to Women’s Development, Field Work Practice in Social Work Education, and Rural Development. ‘This book provides an interesting contribution to our understanding of the importance of the student placement during the social work education program in the Indian and South Asian contexts. The contributing authors offer culturally specific suggestions as to how the placement experience can be theorized and utilized. I would recommend this book for those interested in social work education from this region of the world.’ — Dr. Michael Wallengren Lynch, Lecturer, Department of Social Work, Gothenburg University, Sweden.